If you’ve always wanted to do V.O., join us for serious voiceover fun! DIVE IN! The Summer of V.O. is Starting! Summer of V.O. launched with a super-charged, super fun free workshop (Catch the Replay Here) — then continues NEXT WEEK with 8 weeks of super-charged, super-fun workouts — all virtual so you can jump in from wherever your summer is taking you. It’s Voiceover Summer Camp for Grownups! Mondays at 10 am (PT) or Tuesdays at 6 pm (PT) for 8 weeks starting July 9th. Get more V.O. in your summer! Sign up now for our Summer of V.O. Weekly Workouts starting July 9th and save $100! Our “Maine Event” was a huge success! A week‑long retreat kicking off our Summer of V.O. 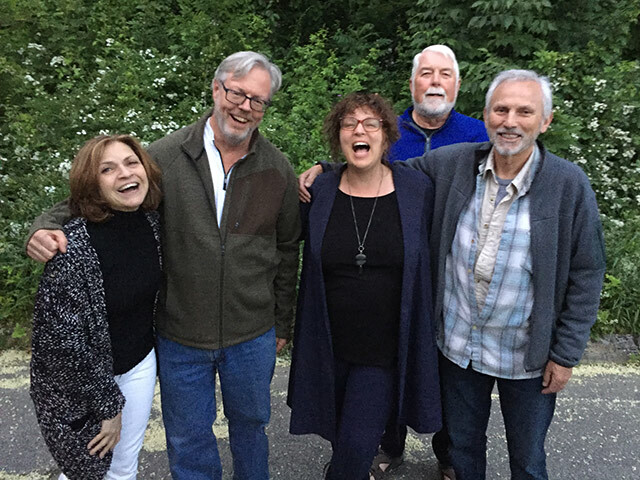 Many thanks to Maine Media Workshops for hosting our amazing week-long voiceover retreat in beautiful Rockport, Maine — and to all those who made it out to join Tish in diving deep into the many facets of V.O. It was a blast! Catch Tish on the “Hometown to Hollywood” podcast with Bonnie J. Wallace! We talked about MANY things voiceover — including why it’s the actor’s “secret weapon,” the major types of voiceover work available for actors, getting V.O. work without an agent, the kind of agent do you need for the bigger jobs, union status, what actors should do who want to expand into V.O. work, what should be on a beginner’s V.O. demo, and MUCH more! Your voice is a powerful thing. Your voice can persuade, provoke, entertain, and delight. It can change minds, touch lives, spark ideas, and create worlds. 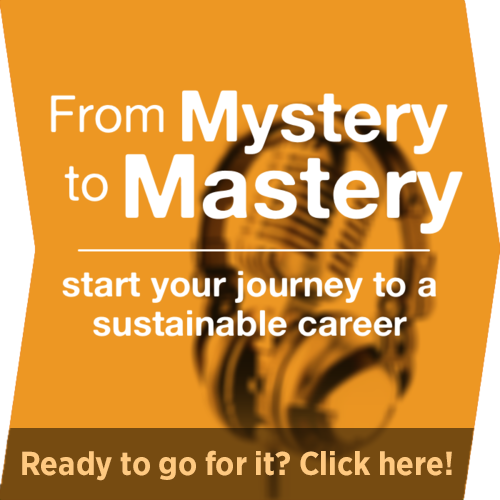 Your voice can even be your career. Whether you’re a beginner looking to break in or a seasoned pro prepared to take your talent to the next level, The V.O. Dojo will help you get there. We’re a training, networking, and resource center connecting voiceover actors of all levels. The V.O. Dojo's unique approach, inspired by the discipline of martial arts and the playfulness of improv, will encourage you to approach your craft fearlessly and with the wisdom of a warrior. Find your voiceover center at the V.O. Dojo. "Last March, I was new to voiceover and decided to check out the VO Dojo’s 'You Should Do Voiceover' Weekend Intensive. One year later, I’m a VO Dojo Black Belt represented by William Morris Endeavor. Tish will change the way you think about voiceover. Yes, she'll deliver countless juicy tips and tricks of the trade – but even better, she'll give you real insight into the process of mastering the art of VO and help you develop your plan of attack. This is not just any voiceover class. This is deep, important work. The supportive community, the professional connections, and the intense training you get at the VO Dojo are absolutely invaluable. You'll wish you started years ago." I'm signed with a great agent and have booked several radio and TV spots! "I cannot recommend Tish enough. I had some success prior to meeting Tish, but that was almost by accident. I couldn't figure out how to maintain any momentum in my career. Tish was able to help me focus on my strengths and offered guidance on how to improve my weaknesses. On top of that she was extremely helpful in my search for good V.O. representation. As a result of our combined efforts, I am now signed with an excellent agent, and have booked several television and radio spots. Thank you, Tish." Finished my demo and signed with a fantastic agent! "I'd worked with Tish in the LA theater scene, so when I decided to expand my acting career into voiceover, I knew the V.O. Dojo was the place to go. Tish focuses on the craft of acting in her work, so even though I was new to V.O., I was able to jump in with both feet using the experience I already had in my stage and on-camera work. The Dojo became my V.O. workout ritual, exposing me to other actors with a full range of expertise, guiding me from being a 'White Belt' - sharpening my skills and building my confidence to finishing my demo and signing with a fantastic agent. Now I'm a 'Brown Belt', putting all of that Dojo experience into practice in the industry, and I know the Dojo will help keep me moving forward as I continue to expand my V.O. career." "Tish helped me see a V.O. career as fun, fulfilling, lucrative, and above all, accessible. She's great at demystifying, and has helped me see that V.O. is a craft that's exceedingly learnable."